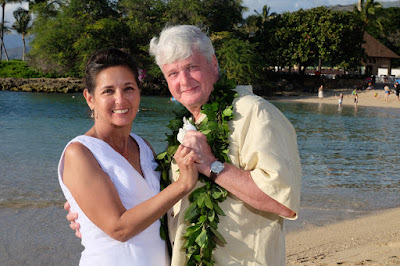 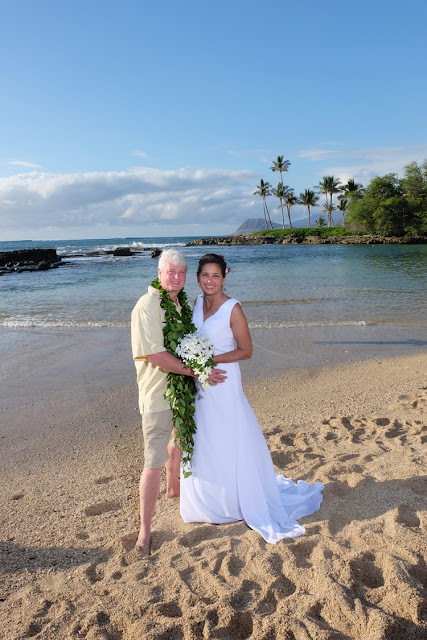 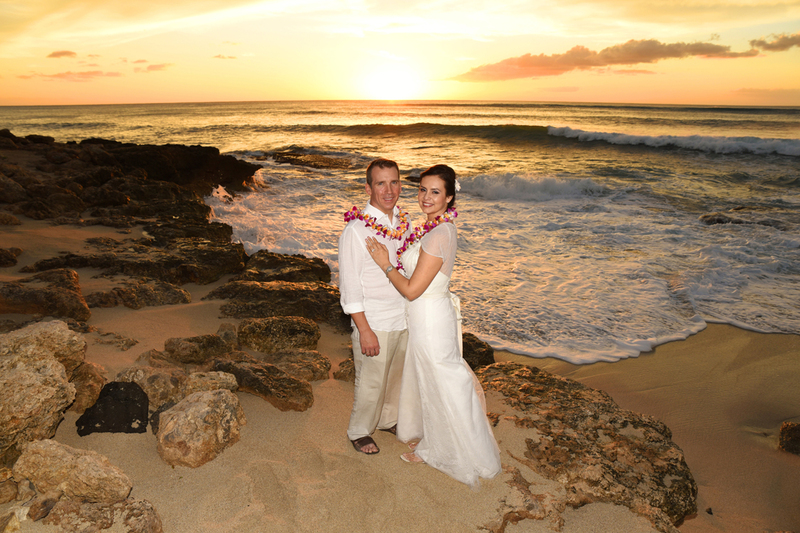 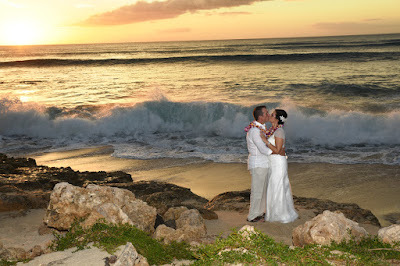 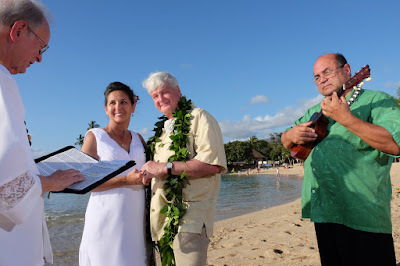 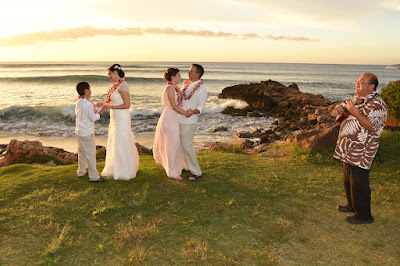 Beautiful tropical scene at Paradise Cove Beach in Ko Olina as Tom and Evelyn renew their wedding vows. Tom and Evelyn dancing to the sound of music from the Ukulele. 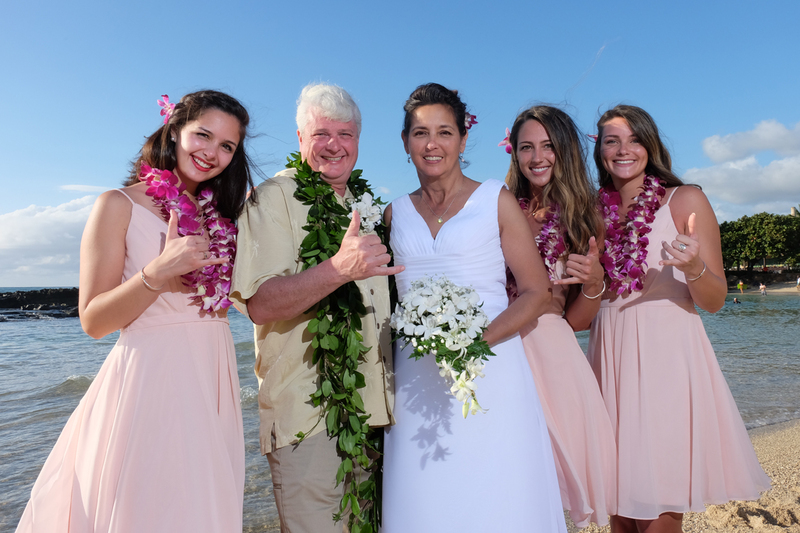 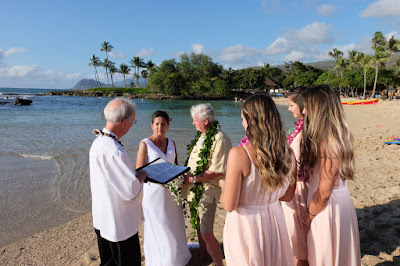 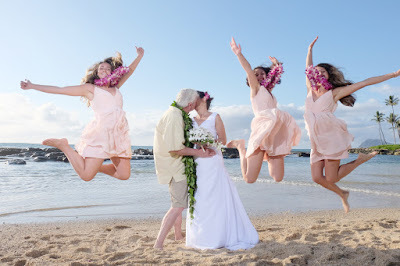 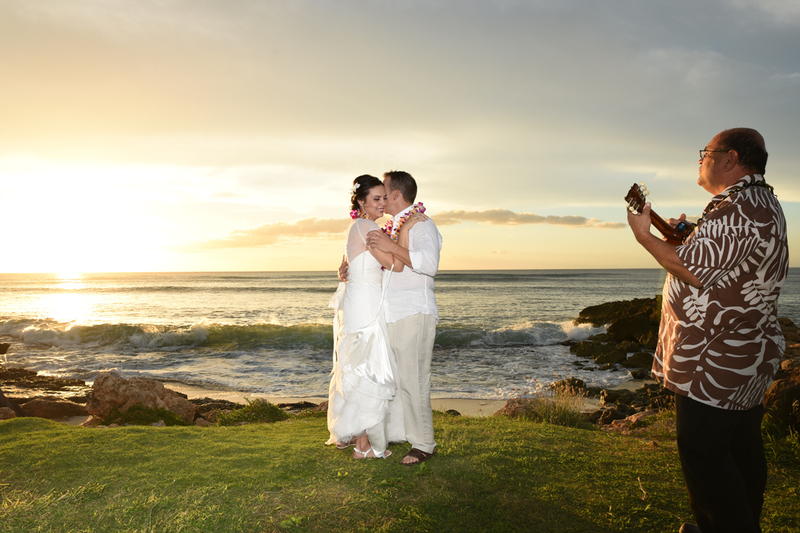 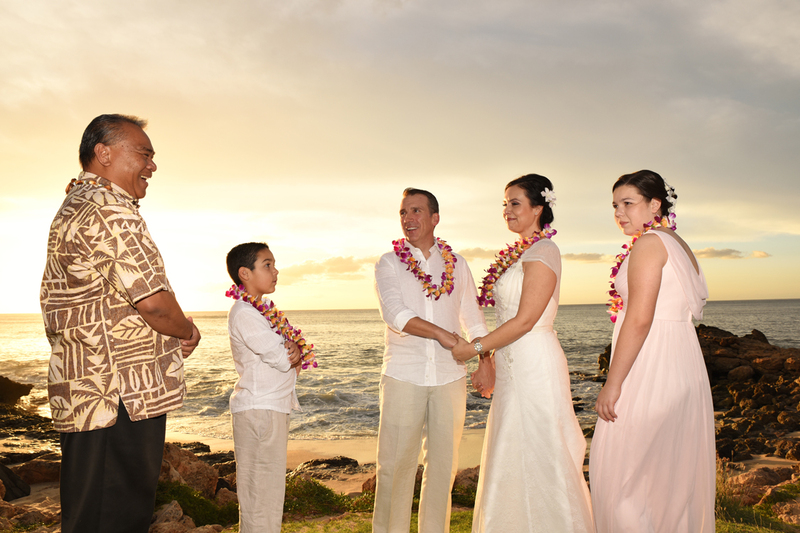 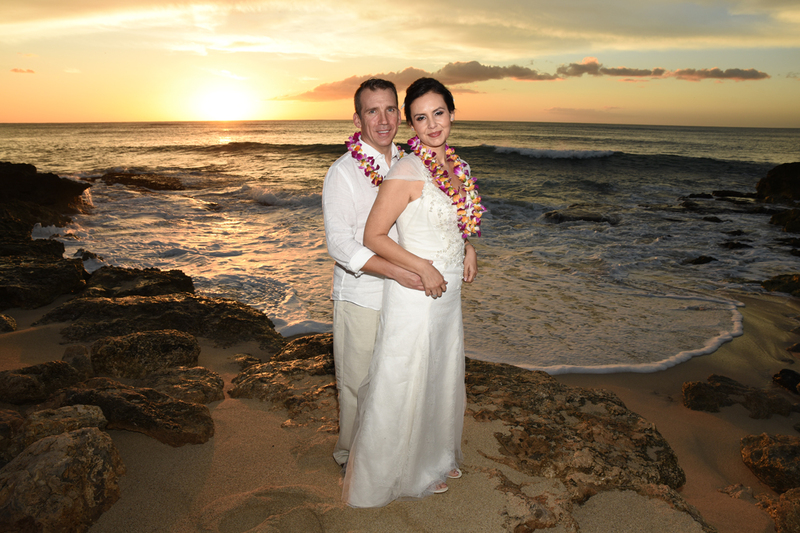 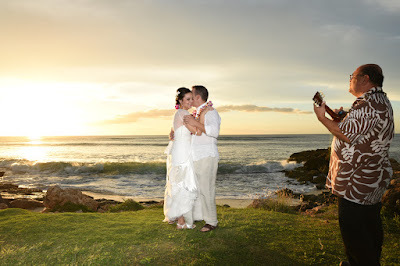 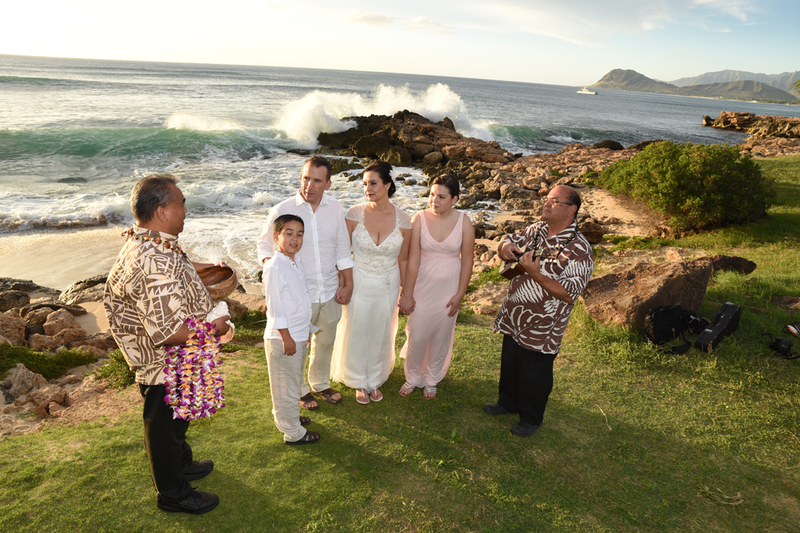 Three daughters help them celebrate their vow renewal in Ko Olina. Amazing Ko Olina sunset at secluded Milo Cove. This is about as good as it gets! Tyler and Erika tie the knot all over again in front of their two children. Pounding waves in the background and a beautiful sunset makes a nice way to end the day. 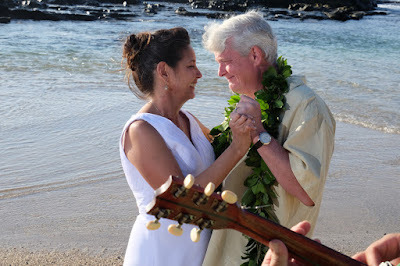 Dancing to the tunes of Hawaiian Ukulele Musician Ha'a.